The photograph is of the chairman of the Community and Vocational Committee of The Rotary Club of Chesham, Mervyn Edwards, presenting a cheque for £300 to Anna and Jennifer from Chiltern Toy Bank. 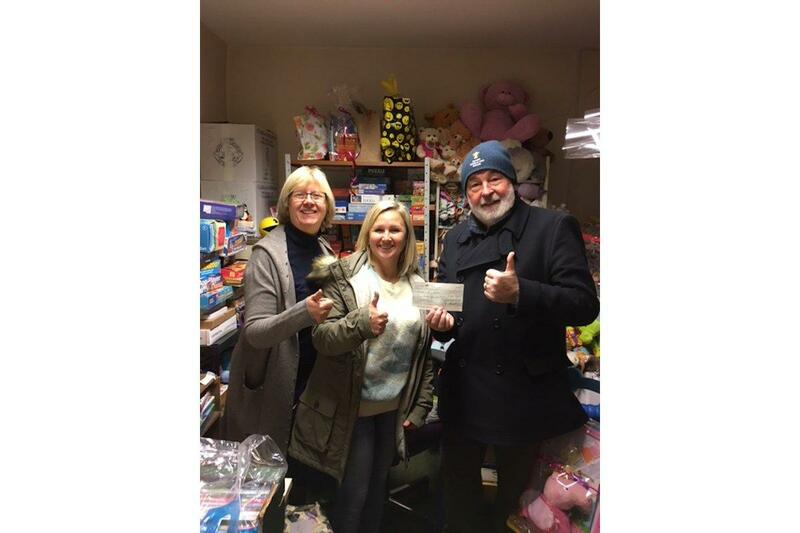 The Rotary Club were delighted to be able to help the volunteers of the Toy Bank who do an amazing job at Christmas to make sure that many children who would not necessarily have any or many presents at Christmas do receive presents on Christmas morning. This Christmas they are hoping to have helped up to 400 children.